Constantin Brancusi is a man whose name evokes visions of bright, well lighted ateliers and early 20th century Paris in it's creative prime. Though he spent decades in the City of Light, Brancusi transported himself there from his home in rural Romania, mostly on foot. He studied woodworking and sculpture before leaving his native country, first in a smaller village, later going on to Bucharest. 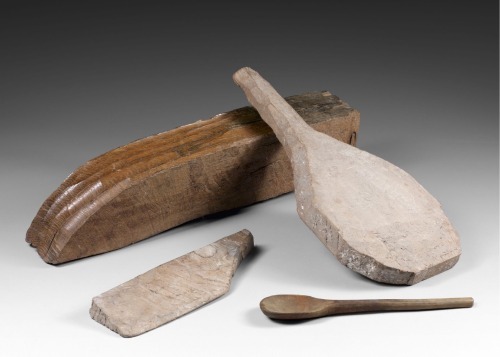 His studies brought theory and evolved his skill for shaping in wood and stone, but Brancusi had shown an inherent aptitude for carving wood farm tool implements from a very young age. Though he left the bucolic hills of Romania while still quite young, they would stay with him through the decades in Paris. It can be seen in his work; even his choice of material. 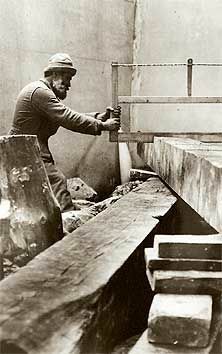 Brancusi carved his pieces from wood and stone; primitive materials that have been worked by hand since time memorial. Even the fact that he chose to carve; as opposed to making molds and casting in bronze as many of his contemporaries were at the time, would have made him something of an antiquarian. But antiquarian he was not. Brancusi was one of the first in sculpture to abandon direct representation in favor of abstraction. He looked to the primary forms of ancient civilizations-namely those of the Mediterranean and his native land-for inspiration. From there he allowed the natural materials to have their say; letting the direction of grain in a bolt of wood and the way it ran under his tools speak to the final forms of his work.